People are constantly changing. The manner in which your supporters are experiencing the world, gathering information, and connecting back to your institution is fluid and complex. You simply can’t keep up with every new opportunity to engage your existing donors and draw in new donors without help. But when you invest in a consultant, it’s important that you get real, actionable advice based on data. RNL Fundraising Consulting delivers data-driven strategies that address your specific goals and challenges. Our team of experienced consultants focuses on concise, immediate solutions that get you quickly on the road to greater success. Choose RNL Fundraising Consulting when you’re looking to transform your engagement strategy, reach new participation or giving goals, or launch a new donor engagement channel. You don’t hire a consultant to tell you what you already know. RNL Fundraising Consulting focuses on deep dives into your current strategy, data, and industry-standard metrics to provide actionable insights. We then break down key next steps based on this analysis to help you reach your goals. Meet RNL’s team of expert consultants. “Cookie cutter” consulting doesn’t cut it in today’s highly complex fundraising environment. That’s why RNL Fundraising Consulting always assesses, analyzes, and adapts for each institution—because each institution is unique and deserves a unique approach. We focus on key data analysis and discovery conversations at the start of the process, and then deliver customized strategy based on what you want to accomplish next. Ongoing partnerships are also available—we’ll check in on how you’re progressing towards milestones and work with you to adjust tactics as needed. 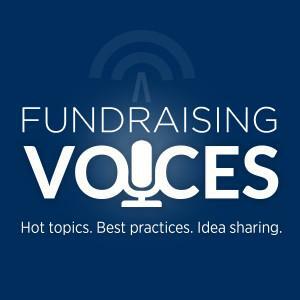 Hear RNL consultant Brian Gawor engage in thought-provoking conversations with fundraisers, researchers, and thought leaders.